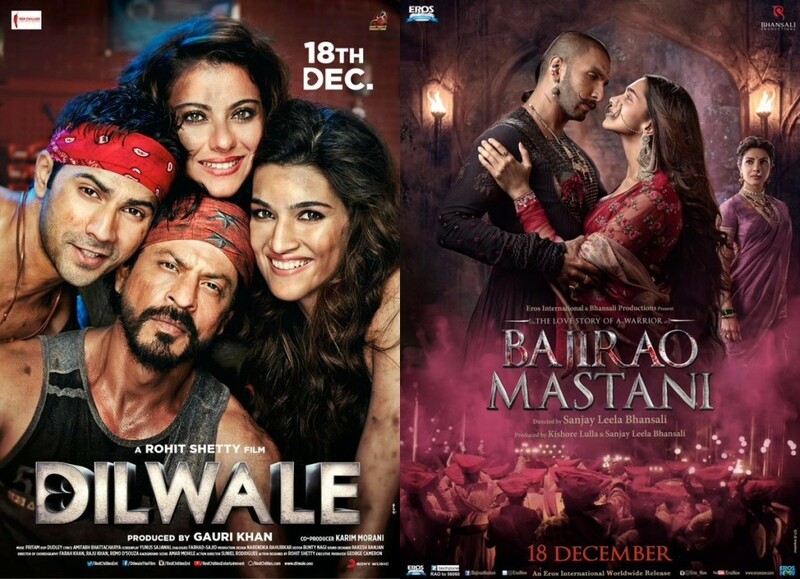 Much awaited films of the year Rohit Shetty’s Dilwale & Sanjay Leela Bhansali’s Bajirao Mastani are all set to hit theaters simultaneously on 18th of December. After a long period of creating buzz in the media and excitement among the audience, these two long awaited films have entered the race of pre release hype and talking about stats then the competition seems quite tough. Audience is excitedly waiting for both the movies, so huge competition can be seen easily on social media between these two films. Talking about the pre release performances given by trailers, songs etc. then both are getting amazing audience response and keen to see which one leads. All actors of both movies have given hit films in their recent past hence the buzz is really strong these days in the B-town air. 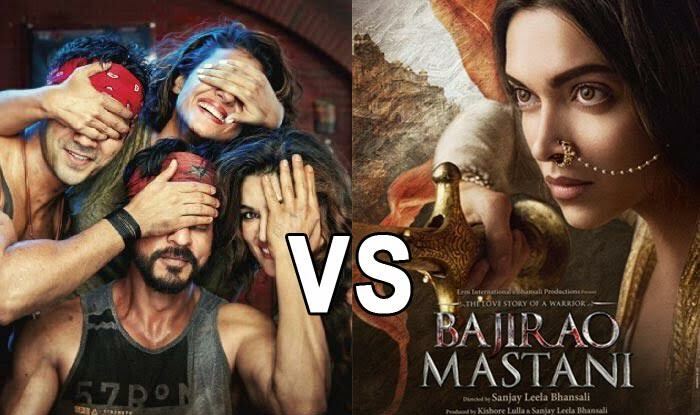 How so ever, it is not that suitable to compare these two films due to their different genres and target audience, but still the peeping over present time buzz, Dilwale is taking over a lead in comparison to the trio of Deepika Padukone, Ranveer Singh and Priyanka Chopra starrer Bajirao Mastani buzz due to comeback of hit chemistry of Shahrukh Khan and Kajol with new pair of Varun Dhawan opposite Kriti Sanon and Rohit Shetty team. Releasing in last month near Christmas, both films are expected to get good advantage. Though both the films are totally different from each other whether we talk about the genres, target audience, number of screens, star power etc; but still everyone is looking forward for the competition between the two on their opening day. Where Bajirao Mastani can attract all the historical drama loving and all those who love star power, masala, great chemistry and huge action with high rated budgets, they can opt for Dilwale. 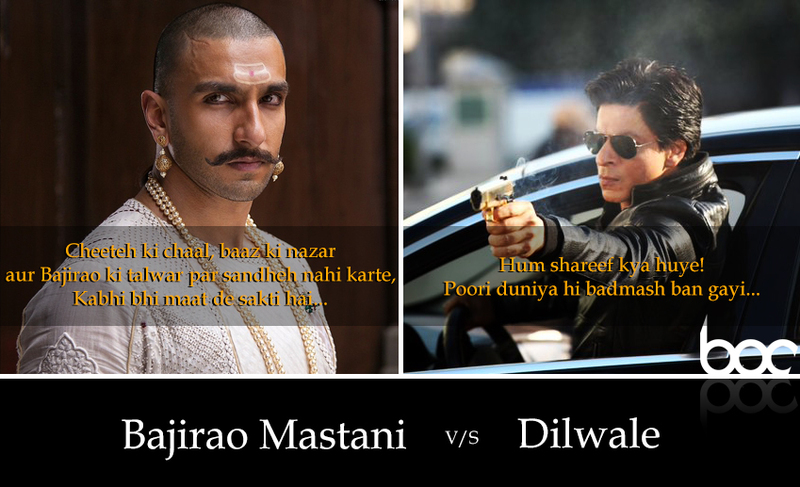 After a good race of hypes and buzz between these two films, the lead seems captivated more by the biggie Dilwale how so ever it must not be said that Bajirao Mastani is remaining low anywhere. 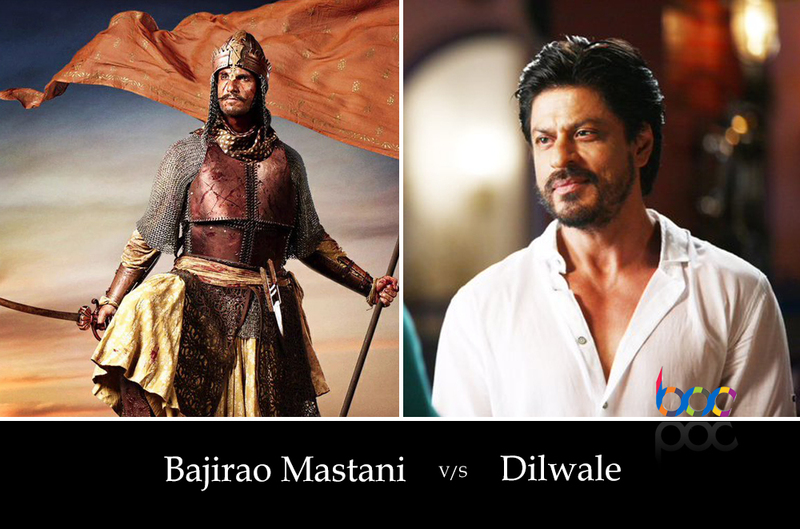 But on the whole, Dilwale is expected to report higher income and response in comparison to Bajirao Mastani by now.